Also known as All Saints Day and the beginning of the Day of the Dead celebrations, this day honors children who have died. The cemetery (just behind Ancha San Antonio and after Cinco de Mayo) begins to fill up in the afternoon, with flower and food vendors crowding the surrounding area. By evening the line to get in will be hours long, so plan accordingly. Inside, families will set up camp for a few hours or the whole night, picnicking and remembering their loved ones, both young and old, who have passed. Altars are elaborate and beautiful, and you might never see death in quite the same way again. As if there wasn't enough going on at the cemetery, you'll want to take a walk to the Jardin as well. The entire square is decorated with incredibly intricate displays of "natural" artwork – "pictures" honoring the dead made entirely of seeds, leaves and flowers. There are traditional dance and musical performances, as well as the "Catrina" parade, where the walking dead are dressed to the nines for the party in their honor. 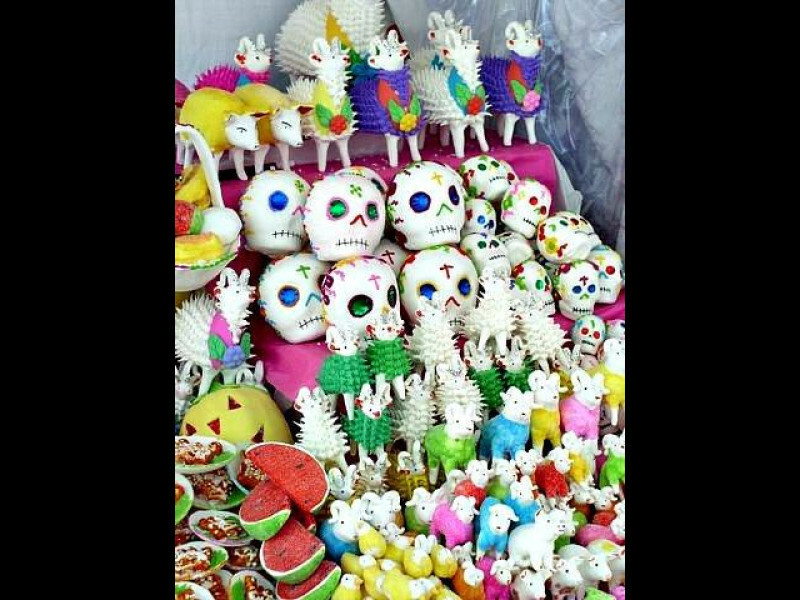 Be on the look out for Day of the Dead altars, celebrations and "supplies" for your own home altar beginning at least a week before Nov. 1. 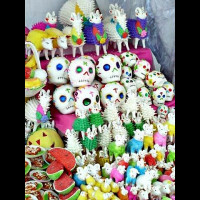 Everything you need, from papel picado (those colorful squares of cut paper) to pan de muerto (the official "bread" of this holiday) can be found at a special market located next to the Plaza Civica (about half way up Mesones).